Yay! 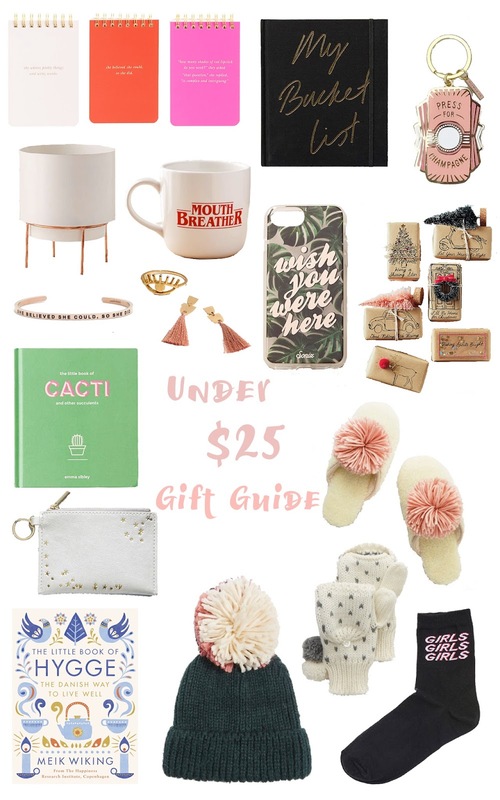 I'm back with my next installment of my gift guide series! In case you couldn't tell by the title this one is for gifts under $25! This guide is full of super fun and super cute trinket-y things! All of these are great gifts on their own, fun to mix and match, or as special stocking stuffers! I have a little bit of everything from these adorable notepads, this subtle (or not so subtle) Stranger Things reference, and the cutest coziest looking hat. So I debated a bit over whether or not I wanted to post any gift guides this year. For as much as I enjoy looking at them I never actually find them very useful, until I realized that's because I actually enjoy spending hours searching the internet and shops for that perfect gift and perhaps not everyone has that same joy. Long story short I came to conclusion that because I enjoy finding cute things why not do something useful with it and perhaps help others in the gift search! I did make one gift guide last year, but I want to switch things up a bit this year and do a few. 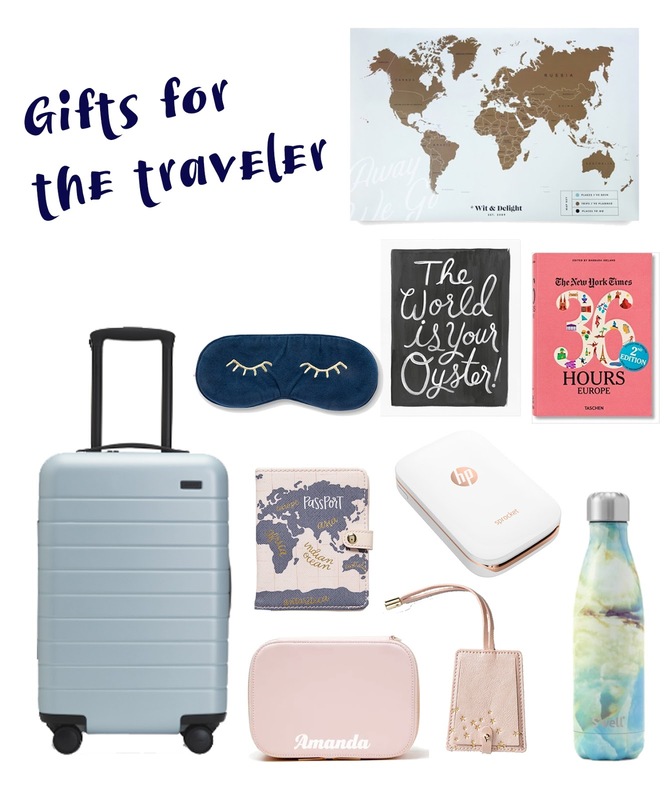 So I'm kicking the series off with a little gift guide for the traveler in your life! These are all gorgeous gifts for someone who loves travel and/or travels a lot. I've included everything from the oh so covetable Away luggage to an HP Sprocket that's adorable, portable, and handy for printing pictures on the go. 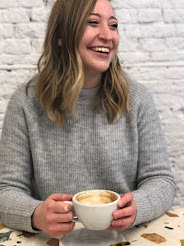 Also Anthropologie has some of the cutest passport cases and luggages tags at the moment and Rifle Paper Co is the perfect place for buying prints of your person's favorite city!